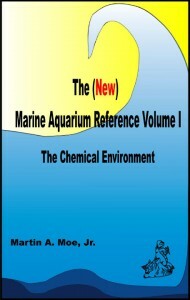 The (New) Marine Aquarium Handbook, Volume 1: The Chemical Environment – by Martin A. Moe, Jr.
Martin Moe’s classic Marine Aquarium Reference has been out of print for years, but anyone who knows Moe understands that his curious spirit and drive to innovate and remain productive are still burning at his core. Not content to leave project as a file on a hard drive in some dusty computer, Moe has recently revisited the Marine Aquarium Reference. 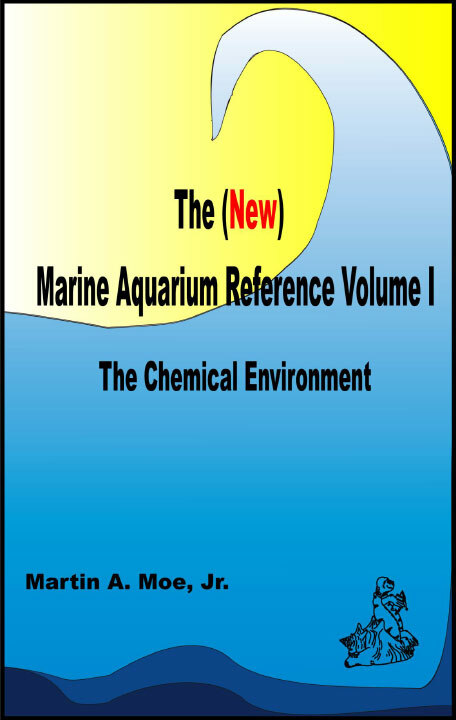 The (New) Marine Aquarium Reference, Volume 1: The Chemical Environment, is the first in a series of five digital volumes which have updated and revitalized Moe’s classic text. Volume 1 covers everything you could ever want to know about the chemistry and chemical makeup of the marine environment. A total of 92 chapters covers everything from the Composition of Natural and Captive Seawater to water chemistry maintenance and redox potential. Dozens of chapters examine selected elements including commonly discussed items like Calcium and Magnesium, but Moe delves into greater detail on everything from Potassium to Scandium and Arsenic. Moe anticipates all five volumes in this updated series will be completely released by the end of 2014; a new volume will likely come every 1-2 months.